Double click on the calendar and you can print it. Zoro the Party Pig does the Conga. About This Painting: Zoro the party pig is back in the green of things. Zoro the Party Pig Goes Green. Are you ready to go Green like Zoro are do you just want to party? About This Painting: Sometimes you just have to Party. Oil painting on gallery wrapped stretched canvas. 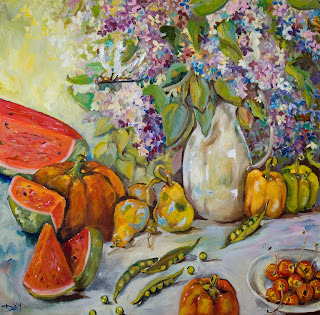 The colors in this painting made me think of Tuscany so I named it Tuscany Vegetables. 10x10 oil painting on gallery wrapped stretched canvas with painted sides. A few more vegetables, radish, onions and green beens to hang in the kitchen and help remind you to eat your veggies. Most of Michigans vegetables are grown in the Southern half of the state, thats why I say I'm just a little girl from the South. oil painting on gallery wrapped stretched canvas with painted sides. About This Painting: A fun little watercolor painting. I have painted this little rooster several times as he crows to wake up the morning sun. Saint Valentine was said to have demonstrated courage and valor in helping Christian martyrs being persecuted under Emperor Claudius II in Rome, during a time when giving any kind of aid to Christians was considered a crime. Valentinus was arrested and imprisoned for this crime. He was condemned to death. He was beaten with clubs, stoned and finally beheaded outside the Flaminian Gate. After his death, this gate was known as Porta Valentini, later being renamed Porta Popolo. There is a legend that says: while awaiting his execution, he befriended his jailer's blind daughter whose sight he restored to her. According to Alfonso Villiegas, in his book "Lives of Saints" the jailer was Asterios, one of the Emperor's lieutenants. He and his family were converted to Christianity by St. Valentine, and they were condemned to death by Claudius II. According to legend, on the eve of Valentinus' death, he wrote a farewell message to the jailer's daughter and signed it. This is how Valentines Day evolved. Sweetheart Roses an abstract floral painting in oils. 10x10 on gallery wrapped stretched canvas with painted sides. This painting is ready to hang or it may be framed. About This Painting: It's almost Valentines Day so here is a small Valentine just for you. 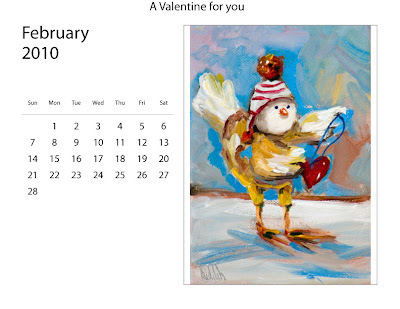 Send an e-Card to your sweetie here is the link to the daily painters web site where you can send ecards of any of my paintings.This one will be there tomorrow, you get to see it a day early. You may have doubts whether sending an e-card will be an impersonal way of communicating with your special someone. But trust me, this is a great way to add a little romance to your sweet one's day. Think deep and write from the heart. It will work wonders with your lover. Imagine your sweet one's delight on finding a cute, romantic e-greeting with a romantic message in his/her inbox on Valentine's Day. Doesn't that seem great? Or better yet buy this little gem and give it to your sweetie as a very special Valentines day gift. About This Painting: There are some things that are just not a good idea to try and balance. Cupcake's may be one of them.If you don't want to try to balance your cupcake just eat them. 10x8 oil painting on canvas mounted on hard board RayMar Panel ready to frame. Original oil painting on gallery wrapped stretched canvas with painted sides. I did one of these long paintings of fruit and vegetables about two years ago and thought I would do another one. It was fun to keep adding different elements until the canvas was full of garden fresh fruit and vegetables. If you would like to enjoy freash fruit and vegetables from Michigan here is a calendar of the Michigan Harvest. About This Painting: I started a series of balancing things in Oct of 2009 and I just keep finding more things to pile up. Oil painting of Fruit with Bees 12x6 on gallery wrapped stretched canvas with painted sides. When I think of Florida I think of Citrus. The first thing I do when I get to the studio in Florida is go to the orchard and buy grapefruit and orange juice and I must have lemons for the shrimp I eat daily when I can get them them fresh at the pier. This is an oil painting on gallery wrapped stretched canvas with painted side.It may be hung as is or framed if you like. I started this painting last year for someones 50th birthday and put it a side and didn't finish it. Today I saw it in the someday pile and took it out and finished it. I wonder how many artist are like myself : with a pile half finished ideas. What usually happens is; I start something, then OMG this great idea hits me and I have to.. I must start it right that minute before the idea is gone. Ideas for me are like fairy wings very quick to disappears into the air. When I finally finish with that idea yet another idea is there and I never get back to the first painting I started. It is kinda of like going upstairs to get something doing 10 things going back down stairs and realizing that you never got what you went upstairs for in the first place. It happens at least once a month. But I do get back to them and even finish them sometimes. Just in case you think this children's bath toy is mine, it's not it's my husbands mine is yellow. Iwonder if they come in pink? About This Painting: When Life gives you lemons you can sit and pout or you can make lemon drop Martini's. It makes the bees happy. Yes, I am thinking of Valentines day already and I hardly have the Christmas paper put away. This is a fun little painting with impasto work and a little dragonfly to add to the sweetness. Gallery wrapped oil painting on stretched canvas with painted sides. About This Painting: A fun day at the beach. 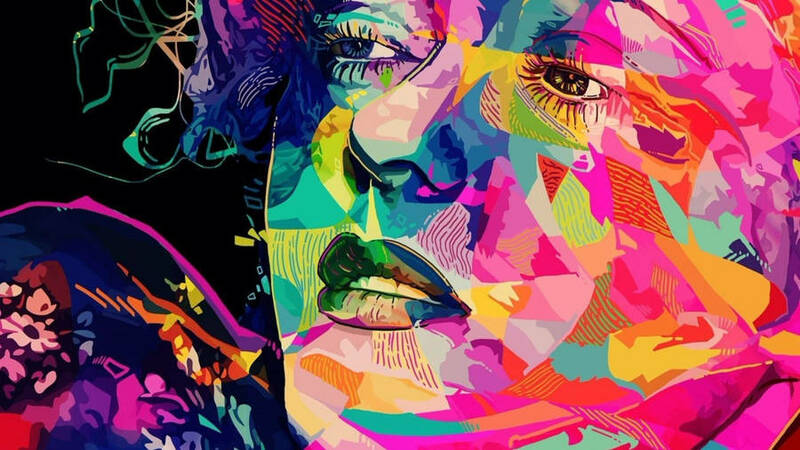 The painting is an oil on canvas mounted on hardboard ready to frame.Paintings are shipped worldwide, personally packaged, and fully insured. About This Painting: This painting started out as a water color but I added some acrylic paint and watercolor pencil in this contemporary floral painting in areas to bring out the detail and give it more body. The New Year has started and I'm off painting. reviewing and celebrating my accomplishment from last year. I posted 358 painting to this blog in 2009, missed the 365 that I wanted to do but I am very happy having finished that many paintings and not all were the small 6x8 that I like to do. So I am starting the New Year off with a large painting that I have been working on for months and finally finished yesterday.